Sourdough loaf is an apt analogy for what’s known as “historical optimization.” One of the best ways that you can optimize your content in terms of both the target audience and getting as many eyeballs onto it as possible is blending fresh new content with updated and expanded old content. If you don’t bake, sourdough bread is made by using an aged compound called “starter” which is made from yeast fermenting an incredibly long time. You put it in an airtight jar with flour and water and let it age for several days or weeks before it’s ready to use, but there’s bakers who’ve kept starter alive for over a century, which is made possible by “feeding” the starter over time. (Talk about evergreen content!) You’re working with something old but also working with fresh new ingredients to create a new loaf of bread. Historical content, mixing old and new, sourdough content–call it what you like. According to the Content Marketing Institute, marketers who actively make an effort to update and expand older content are 74% more likely to see more traction. That’s some pretty powerful starter. Driving traffic to old content with social media links might have a little impact on your KPIs, but just how useful is old content? So many fields change at light speed today. Even if your CMS is making old content readily visible based on what the visitors have been browsing, some people might be put off by seeing an older date assigned to something. Depending on the type of content you have up, the content’s intent might not matter: a furniture blog post about moving a three-piece sofa into a tiny studio apartment will be more timeless than a tax accountant’s infographic about tax laws that were just killed by the 2018 tax reform. No less, having new content alone won’t optimize those KPIs when you can pull from your jar of sourdough starter and rework and expand that old content a little. The accountant example would need to materially change things that cover how the topic changed since it was originally written, while the couch post can maybe get a cosmetic update like new pictures or a few new sentences. Both examples also serve as a great opportunity to create more inbound links by linking to new content you’ve created since the original piece was published. 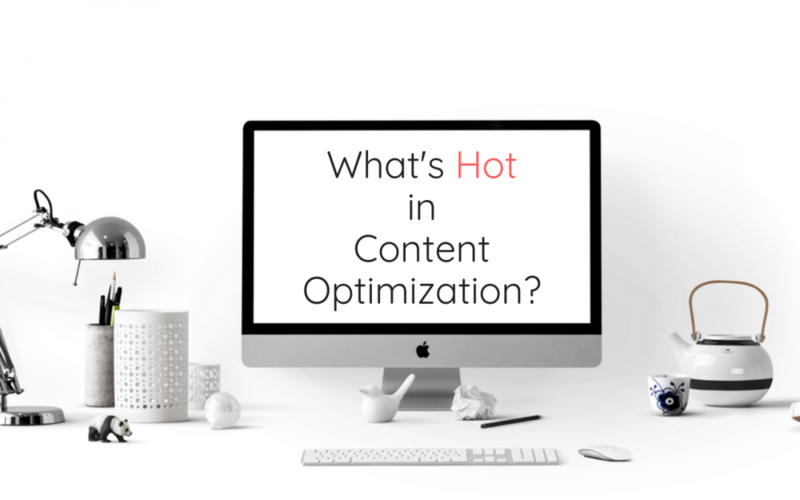 Historical optimization frequently gets overlooked because jumping on hot stories and topics gets priority, as does following a whole new marketing plan and wanting to stay consistent with it. But if you want a loaf of sourdough that crackles just right when you cut it and has that tang that keeps you coming back for more, you need to take the same approach with “feeding” your starter you’ve already got up on your website. New content is important but for content optimization purposes, so is updating and republishing old content.